Cardio Debate > Cardio Notes > Diagnosis and Prognosis > How effective are assessment tools for predicting healthy lifestyles? How effective are assessment tools for predicting healthy lifestyles? Unhealthy behaviours are major contributors to costly chronic health conditions in industrialised countries. [1, 2] The impact of lifestyle on health is undeniable, and healthy lifestyle promotion interventions are widely available. A study published in 2016 in Psicothema took a different approach to the existing assessment tools. This study combined two behaviours that are typically difficult to measure: diet and physical activity. The interpretation of these behaviours was based on the self-determination theory that accounts for components such as ‘motivation’, ‘competence’ and ‘autonomy’, which constitute a valuable tool for assessing compliance with healthy diet and physical activity. The Motiva.Diaf questionnaire comprises social-demographic questions (age, gender, education level, and civil status) that describe adherence and motivation for each behaviour related to diet and physical activity, and questions related to the fulfilment of basic psychological needs. These were separated into categories of ‘diet’ and ‘physical activity’. The authors of this study have demonstrated that the test’s structure is essentially one-dimensional, and the scores in this dimension converge with other necessary basic psychological measurements and perceived health. The inclusion of metabolic profiles and BMI were considered as external validity criteria, as both parameters were shown to maintain a direct relationship with a healthy diet and physical activity. Those who followed a healthy diet tended to have healthy metabolic parameters and BMI. An inverse relationship was demonstrated between adherence to healthy behaviour and BMI. Furthermore, a re-test was conducted in a subsample of 40 participants, which confirmed its reliability in terms of internal consistency and temporal stability. Applying the Motiva.Diaf questionnaire may be useful for estimating different forms of motivation, represented in a continuum that ranges from non-self-determined behaviour (a lack of motivation to perform an action), to self-determined motivation (a high degree of self-determination). 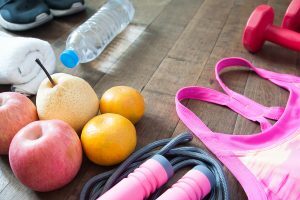 Knowing the level of motivation can predict the duration of behaviours that are integrated in education intervention, such as diet and physical activity. Therefore, the measurement of these factors may be considered upon designing interventions, or rather considered as a modifiable parameter that might improve the risk profile of a given patient. IHME Institute for Health Metrics and Evaluation. 2017. http://ghdx.healthdata.org/record/global-burden-disease-study-2016-gbd-2016-burden-risk-1990-2016. Accessed 26 Dec 2017. Forouzanfar MH, Afshin A, Alexander LT, Anderson HR, Bhutta ZA, Biryukov S, et al. GBD 2015 Risk Factors Collaborators. Global, regional, and national comparative risk assessment of 79 behavioural, environmental and occupational, and metabolic risks or clusters of risks, 1990-2015: a systematic analysis for the Global Burden of Disease Study 2015. Lancet. 2016;388(10053):1659-1724. Babor TF, Sciamanna CN, Pronk NP. Assessing multiple risk behaviors in primary care. Screening issues and related concepts. Am J Prev Med. 2004;27(Suppl 2):42–53. Goodyear-Smith F, Coupe N, Arroll B, Elley C, Sullivan S, McGill A. Case-finding of lifestyle and mental health problems in primary care: validation of the ‘CHAT’ Br J Gen Pract. 2008;58:26–31. Krist AH, Glenn BA, Glasgow RE, Balasubramanian B, Chambers DA, Fernandez M, Heurtin-Roberts S, Kessler R, Ory MG, Phillips SM, Ritzwoller DP, Roby DH, Rodriguez H, Sheinfeld-Gorin SN, Stange KC. Designing a valid randomized pragmatic primary care implementation trial: the my own health report (MOHR) project. Implement Sci. 2013;25:73.